The world of cryptocurrencies is continually growing, and the necessity to securely store your digital assets is paramount. With a vast array of options, we made this guide to help you understand and choose the best wallet for your peace of mind. A wallet, or specifically, a digital wallet is software that connects with a specified blockchain and cryptographically stores your private keys. These private keys are the ultimate access to your account, and anyone with these has total jurisdiction over the funds within. Your private keys link with your public address, which is where others may send you a specified cryptocurrency. These wallets act as the interface between you and the blockchain and enable you to view account balances, transaction history and the ability to send payments. The ideal wallet does this in the safest way possible. The question remains: which wallet is the best? Paper wallets are the oldest method for accessing your hard-earned cryptocurrencies. It involves printing your private key or manually writing it down, and it’s up to the user to make copies. It’s a mechanism for storing your digital assets offline, also known as cold storage. The benefit to a paper wallet is that your private key never goes online. Therefore you will always be the sole owner of the wallet as long as nobody else manages to find your paper wallet. The downside is that paper wallets can be lost or destroyed relatively quickly, and if someone discovers it, they will have complete access to your account. Due to their simplicity, they are also the quickest wallets to generate when comparing all other crypto wallets. One of the most popular wallet methods is via mobile applications. These are popular because of their convenience considering most people always carry a smartphone. 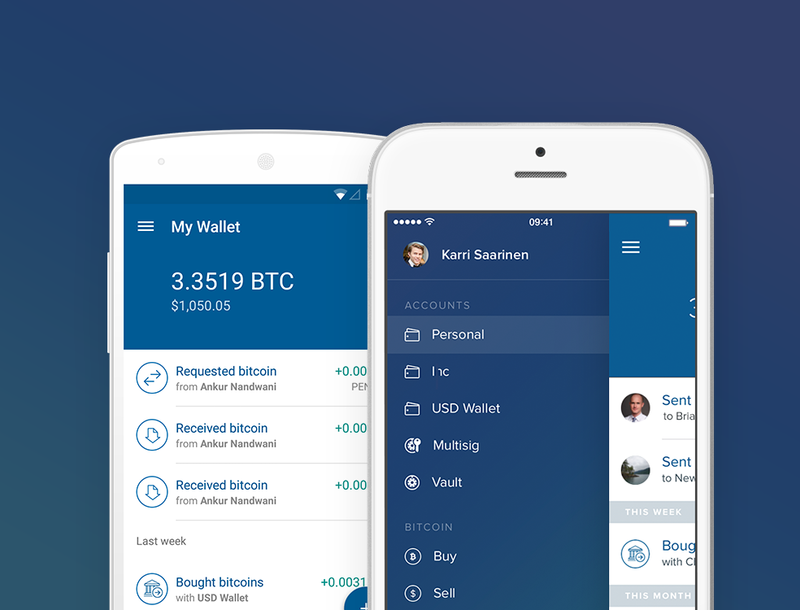 Both iOS and Android support a plethora of wallets, such as Coinbase, Jaxx, Mycelium, Blockchain, and BitGo. The benefit of mobile wallets is their ease of use, especially since users can access their funds in a few swipes. Most of these wallets also support a wide range of digital currencies, which makes them even more appealing if you’re always on the move. The downside of mobile wallets is that they’re not entirely secure. Your whole account relies on you keeping your phone safe, and if someone steals your phone, you will be at risk of losing your funds. Mobile wallets store your private key which means you don’t have actual ownership of your account. Desktop wallets are on your computer rather than your phone. These tend to have a much better user interface and a wider variety of options than other wallet methods. Desktop wallets tend to have a higher level of security than mobile wallets. The wallet encrypts your private key, and you can access your account with a password and two-factor authentification. Examples of popular desktop wallets are Exodus, Electrum, and Copay. The major downside of desktop wallets is that they are only as secure as your computer. This flaw means that if your computer is unsafe, your desktop wallet is similarly in danger as well. It’s well-known that malicious actors are steadily spreading malware to crack open crypto wallets. This threat makes desktop wallets extremely prone to being compromised. Some users prefer to leave their cryptocurrencies on exchanges to make trading easier. This is a convenient storage method for short-term traders. However, for long-term storage, we highly recommend that you keep your digital assets on a private account. Over time, history shows that major exchanges are routinely hacked and are not obligated to return your funds. Hardware wallets are the most revolutionary method regarding storing your cryptocurrencies. These are hand-held USB devices that employ secure chips that are virtually tamper-proof to store your private keys. To date, there has yet to be a hardware wallet that has been compromised through malicious attacks on their software. The benefit of using a hardware wallet is that you physically hold the access point in your hand. Users must provide the correct PIN and password to gain access and send funds. Even if you use an unsafe computer, your hardware wallet is wholly sealed to outside elements and will perform flawlessly. Hardware wallets employ an ingenious method of showing blank dots on the computer screen, but numbers on the device itself when logging on. This prevents malicious keyloggers from seeing your PIN. The most popular options for hardware wallets are either Ledger or Trezor. The downside of hardware wallets is that they need to be with you anytime you’d like to make a transaction. Furthermore, they range from $50-$120, but given their use case, this shouldn’t be a negative aspect. Although they are the only wallet option that costs money, they are also the best devices to store your valuable coins. In an age where hacking and malicious malware is increasing in its hunt for unsecured crypto, hardware wallets are the utmost safe and reliable option. The beauty of hardware wallets is their ability to back-up accounts by use of recovery seeds. When you begin setting up your wallet, it will display a one-time recovery seed list. This list is generally 16-24 random words that you must write down in the provided booklets. Hardware wallets make it so that anyone that wants to steal your digital assets needs to find you physically along with your device. The whole point of hacking is traditionally made from behind a computer screen anywhere in the world; breaking this link by necessitating physical authorizations is a real game-changer for asset security. As a result, we can only comfortably recommend hardware wallets to our readers. The amount of money that they cost will repay themselves many times over as your digital assets increase in value over time. Bitfi’s Hacked, Unhackable Wallet, a hoax? The crypto world can be confusing and intimidating, our mission is to provide you with clear, informative content to help you make the best crypto investment decisions.